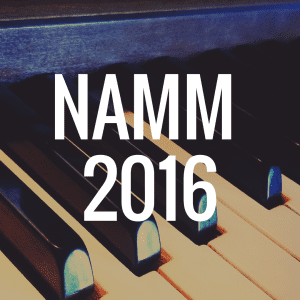 The ultimate goal of the digital piano is to emulate an acoustic piano as realistically as possible, and the technology has made leaps and bounds in recent years towards this end. 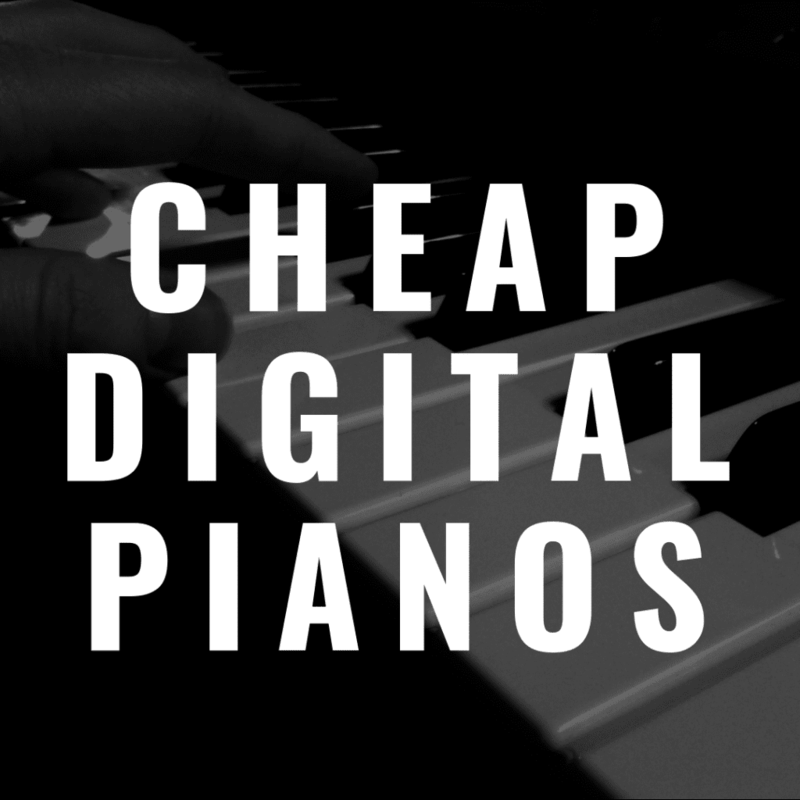 But the reality is that even digital pianos aren’t inexpensive, and so in this article, I’m going to provide you with 8 cheap digital pianos that I think are particularly fantastic for the thrifty shopper. Digital Pianos are convenient – you can move them about and set them up where every you want – digital pianos use space much more efficiently than an acoustic piano, with particularly more recent models often built into slimline frames – event the more traditionally styled instruments are typically much smaller (and certainly lighter) than your average acoustic piano. A digital piano will never have to be tuned, your can turn the volume down or use headphones if you don’t want to wake the neighbors. One of the key elements of the digital piano that has seen the most improvement in recent years is the keys themselves. 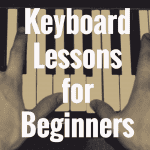 The keys are probably the most important part of the instrument – they are the conduit between you and the music – and has traditionally been something that has held people back from buying a digital piano. Acoustic pianos feature very nuanced keys that have a very exact kind of weight to them, there are subtle interactions between finger, key and string that are only tangible when you actually play piano. While digital pianos have in previous years featured keys that feel plasticky, keys that feel to light or too heavy, keys that fail to properly interpret your playing – now the market is quite saturated with various models, at varying price points, with quality weighted keys. Weighted keys are one of the most important elements to watch out for when buying a digital piano – anything less will not suffice for the budding piano player inside you. With that said, the consistency and quality of this weighting is variable, particularly amongst different manufacturers, but we are here to help identify the 8 best and cheap weighted digital pianos on the market currently. Yamaha are one of the more reliable digital piano manufacturers on this list, and they are particularly adept at producing consistent quality throughout the different price ranges. Their digital pianos proliferate the market, especially down at the cheaper end of the scale, with the Japanese manufacturer having released many different budget digital piano models in recent years. The P125 is a great option in terms of looking at their cheaper weighted digital pianos. The full set of 88-keys is fully weighted, with the Yamaha Graded Hammer Standard standing as a good emulation of acoustic piano playing. The keys are graded in weight – meaning keys at the lower end of the keyboard are slightly heavier than those higher up – a subtle addition, but one that is noticeable if you are used to playing an acoustic piano. The inclusion of this build’s strength through the fingers in your left hand, which is particularly useful when playing octaves through the bass. The keys offer a good amount of resistance when being played, however do lack some of the nuance displayed in some other models whilst playing. Overall, the Yamaha P125 is probably the best model on this list for beginners, whom wont necessarily some of the subtler weighting not featured in the Graded Hammer Standard keys – however they still remain weighted well, and the inclusion of grading means they are a great option for those looking to develop their piano playing infers using properly sighted keys. And, on top of that, it’s compatible with the Yamaha Smart Pianist app, as well! 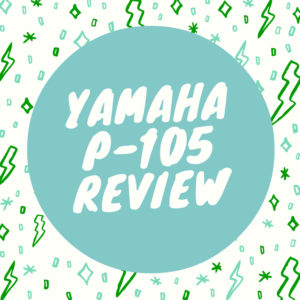 You can read our Yamaha P-115 vs Yamaha P-125 comparison review here. This keys on this digital piano are fantastic, especially considering the low-price. The PX-160 boasts 88 fully weighted keys, using real hammers within the body of the keyboard to simulate the touch and resistance of a real piano. The instrument detects changes in velocity particularly well – allowing for all the nuances of piano playing to expressed thoroughly – the keys are even graded: with the keys toward the top end of the board requiring noticeably less force to play than the keys at the lower end of the board – just like a real piano. The key-bed developed by Casio is called Tri Sensor Scaled Hammer Action – and in my opinion these keys rank among the best on the budget market. While the majority of weighted keys will feature two sensors beneath each key, the Casio TSSHA keys feature their sensors, allowing the keyboard to better capture the slight nuance to your playing: for example, you are able to play a note more than once without taking your fingers off the key. Ultimately, the key response is accurate. What’s more – the keys themselves are actually made in a way so as they have an ebony and ivory feeling to the tops of them. Now while some other budget models will feature some kind of textured top, man wont feature anything coming close to ebony and ivory emulation. The fact that Casio have managed to include this on a budget keyboard is great – the feeling simulated well the experience of playing a real piano, with all the friction and resistance while being played tangible. The Casio PX-160 boast possible the best set of weighted keys at a budget level, and therefore should seriously be considered if you are looking for realism on the cheap. You also might want to read our Casio PX-160 review. If are looking a simple, clean digital piano experience the the Korg B1 is the keyboard for you. This keyboard is the true definition of minimal – both in terms of design and functionality. This Korg digital piano does not feature a varied range of different features and voices, but rather focuses a quality piano playing experience. The 88 keys are a pleasure to play – being both weighted and featuring Korg’s own take on hammer-action emulation. Korg absolutely nail the piano voicing in this keyboard, with their effort perhaps the most accurate sounding translation of an acoustic piano on a digital instrument at this budget price-point. The speakers do this quality sampling justice, and sounds fantastic at all level, with little distortion when pushed the limit. There are a few other voices to choose from: including organ and string sounds – however this pales in comparison to the quality of the piano voice. The Korg Sp-170’s design reflects its functionality – simple and sophisticated. Available in a range of different colours, the keyboard is smart and unobtrusive, and the lack of many buttons and any kind of digital interface result in a solid flatter surface, that looks good pretty much anywhere. The overall build of the keyboard is not the smallest on this list, neither is the keyboard particularly light – so I would not consider taking this on the road, however the Korg B1 is by no means bulky. Overall, the Korg SP-170 offers simple yet quality digital piano playing – and if you are after an easy, yet quality digital piano playing experience, then I would highly recommend this keyboard. You also might want to read our Korg B1 review. The Roland FP-30 is a slimline and portable digital piano, that also manages to pack in absolutely great weighted key action, making this a fantastic option for those of you limited by space, but still looking for a good acoustic piano playing experience. The keyboard is designed unobtrusively – with the build being sleek black, and uncluttered by few buttons. The keyboard can be controlled from any smart-device using Roland’s own app – which means you are less and less likely to use what buttons are on the body particularly often. Despite being on the smaller size, despite bing ideal to fit into hit corners, or in cramped rooms – the Roland FP-30 actually boast my favorite set of budget keys on this list. The weighting is fantastic, and is graded from low to high. The resistance while playing is accurately emulated, and the keys seem to pick up all the nuances of your playing well. The clicking and tapping of the keys themselves, so normally infuriating for those in the same room as someone playing on through headphones – is virtually non-existent: these keys are so so quiet. The Roland FP-30 manages to both be portable, and display a fantastic set of weighted keys – and I would heartily recommend this instrument to beginners and experts alike – you will not be disappointed whilst playing these keys. You can read our review of the Roland FP-30 here. M-Audio are a brand more typically known for creating various MIDI controllers and synthesizers however they have also managed to create a good weighted keyboard, specifically for use with your computers or other external devices. 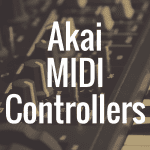 This instrument does not feature any internal audio processors or speakers – so you will have to make sure you run this through compute and external set of speakers before buying this model. The keys on the Hammer-88 are fully weighted and velocity-sensitive – resulting in a playing experience that is particularly nuanced for a MIDI Controller. These aren’t the best quality keys you will find on this list, and the keys do feel somewhat plasticky – not being made so as to replicate the friction on an acoustic piano’s keys – however they do a satisfactory job. 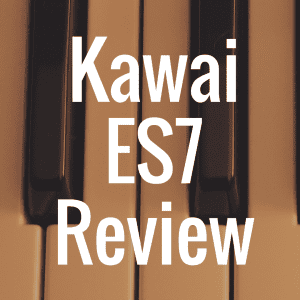 The keyboard makes up for this for its ease of integration within your music making – the instrument is easy to set up on whatever software you happen to be using, and translates the nuance of your piano playing well into MIDI – not something all digital pianos do well. So, if you’re looking for a digital piano for use as a MIDI controller, without wanting to substitute too much quality in terms of the piano playing aspect: then the M-Audio Hammer 88 is the keyboard for you. The Yamaha DGX-660 pushed the boat in terms of what you might consider a budget digital piano – really straddling the line at around $650, however is a good addition on this list when considering its unique nature. That being said – this is a smart and good-looking digital piano, available in a brushed wood and black finish that looks good and feels good. The interface across the body of the instrument is rather cluttered, however this is mostly down to the huge array of features and voices available. The DGX-660 boasts well over 500 individual voicing, covering everything from piano, to drums, to guitar: meaning you really are spoilt for choice in terms of your choice of sound. Not only this, but all of these sounds can be modulated and changed through the application of different filters. For example, there are almost 50 different reverbs you can apply to a single sound. 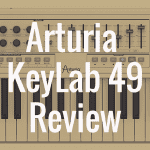 The keys themselves are of a good quality, once again being bother weighted and grade – with the same bed of keys as the Yamaha P-115. The touch sensitivity of the keys can be amended between Light-Medium-Heavy; which means, while the keys are still designed for the piano player rather than the keyboard player: you are still able to change the sensitivity to better suit your style. The keys do feel a bit plasticky– however the black keys do have a matte finish, which does help recreate the contrast between them and the white keys to an extent. The DGX-660 uses the Yamaha PURE CF sound engine, which produces deep and resonant acoustic piano sounds, with the sampling all taken from an advanced Yamaha Grand Piano. All of your playing will be translated well, with the piano sounding rich and vibrant. The Yamaha DGX-660, while being not eh more expensive side of the spectrum – is still worth considering if you are looking for a stage piano with good weighted keys. The DGX-660 is a stylish instrument, and is packed full of features, including a decent set of keys. The keys aren’t quite of the quality of the Roland though, so I would consider keyboard above the others if you are looking to combine weighted keys with good stage functionality. You can read our review of the Yamaha DGX-660 here. Korg are another big-hitter on the digital piano market, and the D1 is an instrument that – just like the Roland – combines portability with great weighted key action. The first thing to note about the D1 is its design. The Korg D1 is a sleek and smart piece of kit – with the 88-note key-bed set into an all black body, projecting both a smart and sleek appearance. The D1 is built for portability, and the compactness of design, alongside a weight of just 33lbs means you will be able to transport this about with relative ease. The 88 RH3 keys built into the body are impressive, considering the relatively small foot-print of this instrument, and are the same keys included on the more expensive SV-1 stage digital piano. The RH3 keys feature graded weighting, making for an accurate piano-playing experience: capturing most of the nuances of acoustic piano-playing. The fact that Korg have managed to include the RH-3 set of keys in such an affordable and slim stage piano is impressive, and means that the D1 is a good option for those of you looking for a solely piano based live experience. These sounds can be creatively changed through filters including reverb and brilliance, however there is no complex audio modulation built into this keyboard. Overall, the D1 is a great all-rounder; offering a combination of good acoustic-piano emulation and portability. If you are looking to play good piano on the road, then this may be the instrument for you. You can also read our Korg C1 Air review here. The SP-280 is both very similar, yet very different to the D1. In terms of their aesthetic they are very similar, both looking sleek and unobtrusive. However, in terms of the piano emulation, the SP-280 is much more accurate – and is therefore better suited to those looking for a permanent digital piano home solution rather than a keyboard for the road. Instead of the RH3 keys, the SP-280 features Korg’s Natural Weighted Hammer keys, which go above and beyond the RH3 keys in terms of precision translation of your playing into sound – they really manage to capture the subtleties and nuances of acoustic piano playing quite well. Not only this – but the piano samples themselves have been taken from a Steinway, one of the most revered and reputable grand-piano manufacturers in the world. While the piano sampling and sound emulation on the other models featured on this list are for the most part pretty-good, these all pale in comparison to the sound of the SP-280: it really is a blast to play. The SP-280 is therefore a great keyboard if you are looking for a purely piano-playing experience at home, and rivals the Roland FP-30 as one of my favourite budget digital pianos. You also might want to read our Korg SP280 review.